But well before composing Bicinia Hungarica, Kodály turned to his Galánta memories when, in 1933, he received a commission for the 80th anniversary celebration of the Budapest Philharmonic Society. In the event, the Dances of Galánta are Kodály's reworking of melodies which were often played by Galánta gypsy bands. Because of their huge popularity, many melodies cultivated by Galánta gypsy musicians were published in Vienna in the 19th century. They cannot be regarded as Hungarian folk music in the pure sense of the Bartók-Kodály terminology but such melodies – in particular, the verbunk – played an important part in Hungarian traditional music in the 18th and 19th centuries. Hence both Bartók and Kodály incorporated the genre into their compositions. In tonight's concert, given by the London Philharmonic Orchestra under their chief conductor Vladimir Jurowski, the first four bars of Dances of Galánta did not inspire confidence in me: although they played forte and espressivo, as marked in the score, this introduction of the first melody by the cellos did not have the assumed articulation. However, when the horns took over the motive four bars later, all was well. And then the whole theme was developed extraordinarily beautifully and stylishly by clarinet player Nicholas Carpenter. All five movements followed in style; with humour and virtuosity when appropriate. Guided from a tiny score (although mostly from memory) by Jurowski – possibly looking like an aristocratic Gypsy – Carpenter's noble, intelligent and gentle clarinet solo reminded of memories of old times before the piece came to its virtuoso and, in this performance, strongly rhythmic conclusion. Bartók's first piano concerto is technically very demanding both for the pianist and the orchestra. Hence it is rarely performed. Yet the composition is exciting and revealing, and it was at the time (in 1926) innovatory, even though Stravinsky's influence is clear. (Bartók greatly admired Stravinsky and he said so on many occasions.) But, as almost always in Bartók's music, folk music influence is inherent: for instance, the percussive elements with their frantic repetitions bring Bartók's 1913 research and field trip into Arabic-Berber folk music into mind. 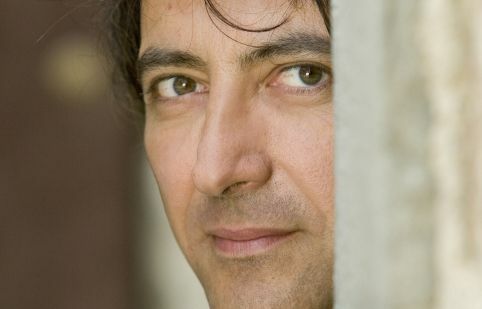 Pianist Jean-Efflam Bavouzet played the concerto from memory (which is no mean feat) and with dedication. He observed all details of the score (yet Bartók, as always, gives plenty of instructions). My only question is whether, in the absence of Bartók's instructions to the contrary, one should play repeated notes all the same? (I hasten to add that Bavouzet maintained sameness only in some passages, not in all repetitions.) Jurowski placed the all important percussion and timpani players at the front of the stage, on two sides of the piano. In practice, the percussion players sat behind the pianist as well as behind Jurowski's back. Full credit to percussion principal Rachel Gledhill, who – seemingly without eye contact – was solid, accurate, musical and clearly very brave. Owing to its length (of over 70 minutes), arguably Liszt's Faust Symphony is not easy to listen to. Yet it is beautiful music with Wagnerian depths (and, occasionally, with almost recognisable Wagnerian motives from Lohengrin and Rheingold). It is also a compositional masterpiece in developing one musical theme over such a long period. In anybody else's hands the piece could be difficult to digest. But Jurowski and the LPO provided the impossible that is perfection. What is most remarkable is that these players make sensitive chamber music rather than orchestral music. Their phrasing, nuances and ensemble work place them with the true exponents of music as art (rather than as profession). It turns out that brass does not have to sound brassy and string/wind solos can integrate into the whole. I suspect that this amazing standard has a great deal to do with chief conductor Jurowski. At any rate, as things stand now, the LPO must rate as an example to all orchestras. The passion and interest for music was evident in the all male chorus, drawn from members of the London Philharmonic Choir and the London Symphony Chorus, who sing only in the last six minutes of the Faust Symphony. Not only did they sing well, producing several shades of tone colours, but they sat on the stage (and above the stage) through the whole concert. That is, right from the beginning of the Dances of Galánta. Clearly they were there because of their immense interest; otherwise they could have arrived after the interval (which followed the Kodály and Bartók pieces), or perhaps even just before the final movement in the Faust Symphony. Seeing them on stage all way through, I could not help thinking of highly paid orchestra players (elsewhere) who wander in and out of orchestral pits during opera performances. I think that tenor Marco Jentzsch must have had a bad night. Or perhaps he needs more than a few minutes to warm up. His solo in the last six minutes of the Faust Symphony was not secure either vocally or, possibly consequently, in intonation. Presumably the part is difficult. But so is Parsifal, Walther (Meistersinger), Bacchus (Ariadne auf Naxos), and other parts which Jentzsch apparently performs widely. Notwithstanding this blemish, Prom 15 featured music making at its best.